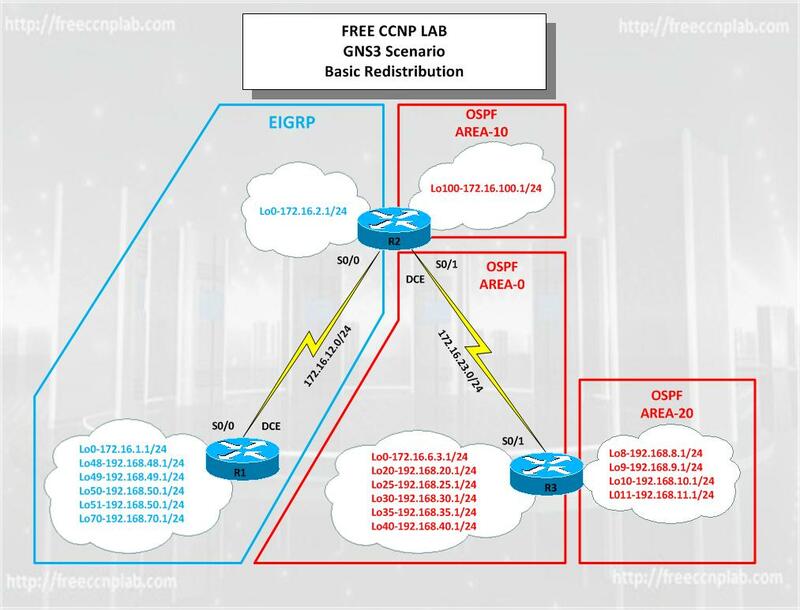 In this Free CCNP Lab GNS3 scenario you will configure five routers in four different autonomous systems using two dynamic routing protocols OSPF and EIGRP. The completed design goal is to insure full IP connectivity to all interfaces. 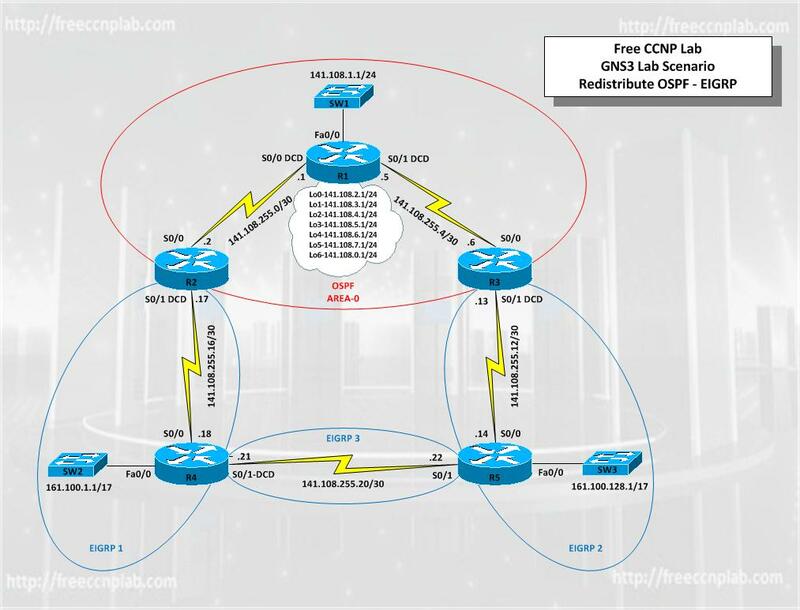 You will use Ping and show commands to verify the configuration and connectivity of the network.